Windows 7 Sound Scheme | How to Choose or Modify the Sound Settings? Windows 7 sound scheme includes 13 new and different sound effects in the new operating system. The many selection of the sound schemes give greater flexibility to personalize-maniac users to really make their Windows system stands out in the crowd. 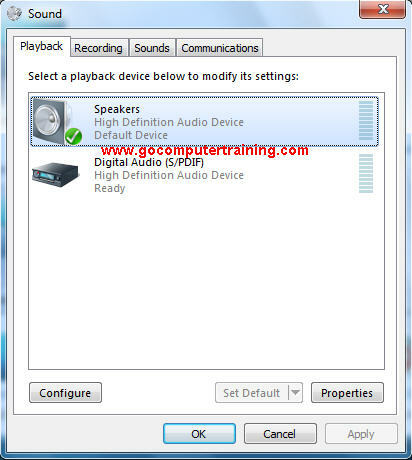 Some use the default Windows sound scheme but you can select the sounds that are played when various events occur, such as a critical stop or Windows shutdown, in the Sound dialog box. You can change the sound options from the Sound dialog box, which you open by clicking Sounds in the Personalization window. You can switch to a different scheme by clicking it in the Sound Scheme list. You can turn off sounds altogether by clicking No Sounds in this list. Right-click the Windows desktop, click Personalize. From the Personalization window displayed, click Sounds link (at the bottom of the screen). From the Sound dialog box displayed, with the Sounds tab pre-selected, under the Sound Scheme: section, click the down arrow and select one of the options. Under the Program Events: section, double-click an option to hear its current sound played. Click the Sounds down arrow to select a different sound for the event. Click Test button to hear the sound. When you have made all the changes you want to the association of sounds and events, click Save As button to save your changes as a new scheme. Type a name for the new scheme, and click OK. When you are ready, click OK to close the Sound dialog box. From the Personalization window displayed, click Sounds link. From the Sound dialog box displayed, click the Playback tab. Click Speakers, then click Configure button in the lower-left corner. From the Speaker Setup dialog box displayed, select your configuration under the Audio channels: list, and click Test button to test your setup. When you are ready, click the Next button. Select the option for the speakers that are full-range speakers, and click Next button. When you are done, click Finish button and you are back to the Sound dialog box. From the Sound dialog box, double-click on Speakers. From the Speakers Properties dialog box displayed, click the Levels tab, and drag the sliders in the direction desired to set the speakers/headphone volume. 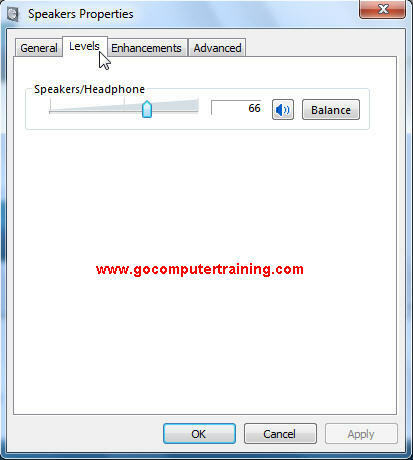 Click OK to close the Speakers Properties dialog box. Click the Sounds tab, and select a different sound scheme to change it (as describe above). 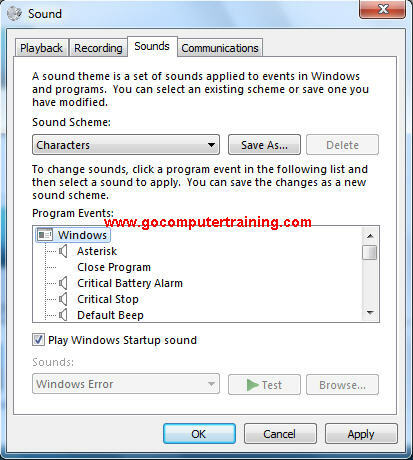 So, choosing the correct Windows 7 sound scheme and the settings involved is not difficult if you follow the tutorial here.